Submitted our whole genome bisulfite sequencing data to NCBI Sequence Read Archive (SRA). Relevant SRA info is below. Have updated nightingales Google Sheet with SRA info. Yesterday, I produced a bedgraph file of our Olympia oyster RNAseq data coverage using our Olurida_v081 genome. I decided that I wanted to use the Olurida_v080 version instead (or, in addtion to? ), as the Olurida_v080 version has not been size restricted (the Olurida v081 version is only contigs >1000bp). I feel like we could miss some important regions, so wanted to run this analysis using all of the genome data we currently have available. Additionally, this will be consistent with my previous Bismark (DNA methylation analysis). NOTE: For brevity sake, I have not listed all of the input RNAseq files below. Please see the full script, which is linked above. ## Reports depth at each position (-bg in bedgraph format) and report regions with zero coverage (-a). ## Screens for portions of reads coming from exons (-split). ## Add genome browser track line to header of bedgraph file. I took the sorted BAM file from yesterday’s corrected RNAseq genome alignment and converted it to a bedgraph using BEDTools genomeCoverageBed tool. Analysis took place on our HPC Mox node. Yesterday’s attempt at producing a bedgraph was a failure and a prodcuct of a major brain fart. The worst part is that I was questioning what I was doing the entire time, but still went through with the process! Yeesh! The problem was that I tried to take our Trinity-assembled transcriptome and somehow align that to our genome. This can’t work because each of those assemblies don’t know the coordinates used by the other. So, as was the case, you end up with a bedgraph that shows zero coverage for all genome contigs. Anyway, here’s the correct procedure! Will get the sorted BAM file converted to a bedgraph showing genome coverage for use in IGV. Progress on generating bedgraphs from our Olympia oyster transcriptome continues. Transcriptome assembly with Trinity completed 20180919. Then, aligned the assembled transcriptome to our genome using Bowtie2. Finally, I used BEDTools to convert the BAM to BED to bedgraph. This required an initial indexing of our Olympia oyster genome FastA using samtools faidx tool. I’d expect multiple entries for each contig (ideally), indicating start/stop positions for where transcripts align within a given contig. However, this appears to simply be a list of all the genome contigs and their lengths (Start=0, Stop=n). I’ll look into this further and see where this pipeline goes wrong. 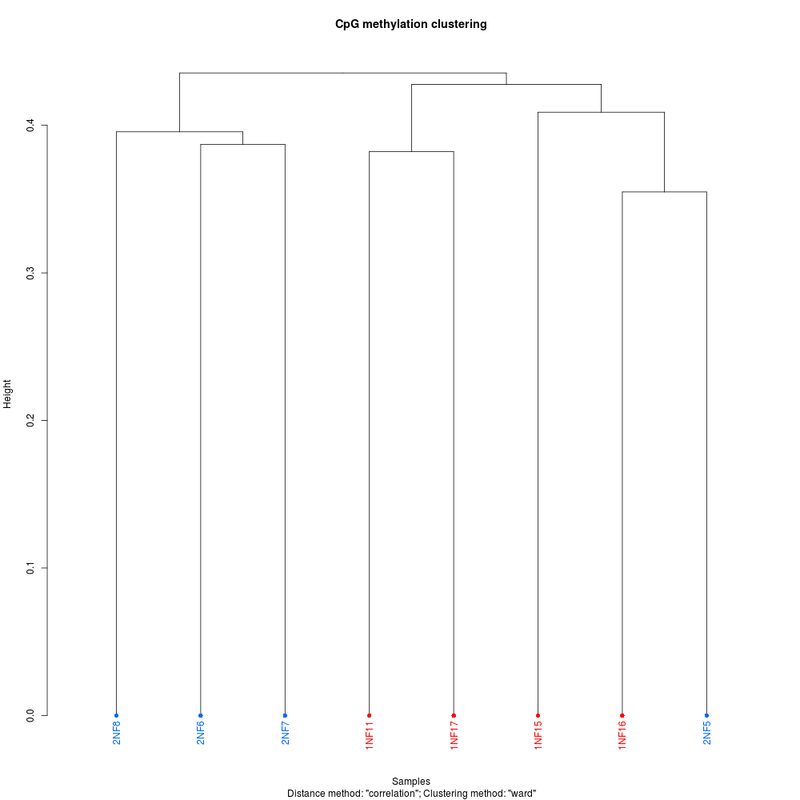 Next up, align transcriptome to Olympia oyster genome. Alignment and creation of BAM files was done using Bowtie2 on our HPC Mox node. Will get the sorted BAM file converted to a bedgraph for use in IGV. Used all of our current oly RNAseq data to assemble a transcriptome using Trinity. Trinity was run our our Mox HPC node. Reads were trimmed using the built-in version of Trimmomatic with the default settings. Despite the naming conventions, this job was submitted to the Mox scheduler on 201800912 and finished on 20180913. Next up, I’ll follow up on this GitHub issue and get some bedgraphs generated. I followed this up using the MethylKit R package to identify differentially modified loci (DML), based on differing amounts of coverage (1x, 3x, 5x, & 10x) and percent methylation differences between the two groups of oysters (25%, 50%, & 75%). See the project wiki for experimental design info). The BedGraph outputs from the least stringent coverage/percent difference in methylation for both Bismark pipelines yield suprisingly low numbers of DML. They yield 22 and 21 DML, respectively. Of course, more stringent BedGraphs have fewer DML, but may be more believable due to having a more robust set of data. Interestingly, the two analyses reveal that a single contig contains the majority of DML, all within a 1000bp range. Will continue to examine this data by examining Bismark BedGraphs in IGV, and running some additional MethylKit analysis looking at differentially modified regions(DMRs) to see what we can gleen from this. The second setting is a bit less stringent than the default settings and should result in a higher percentage of reads mapping. However, not entirely sure what the actual implications will be (if any) for interpreting the resulting data. NOTE: IMPORTANT CAVEATS – READ POST BEFORE USING DATA. I’m posting this for posterity and to provide an overview of what (and whatnot) to do. Plus, this has a good R script for using MethylKit that can be used for subsequent analyses. The goal of this analysis was to compare the methylation profiles of Olympia oysters originating from a common population (Fidalgo Bay) that were raised in two different locations (Fidalgo Bay & Oyster Bay). I previously ran all of Olympia oyster DNA methylation sequencing data through the Bismark pipeline, and then processed them using the MethylKit R library. Bismark provides an excellent user guide and provides a handy table on how to decide on trimming parameters, but I mistakenly trimmed these according to the recommendations for a different library preparation technique. I trimmed based on the Zymo Pico-Methyl Kit (which was used for the other group of data that I processed simultaneously), instead of the TruSeq library prep. So, “incorrectly” isn’t necessarily the proper term here. The analysis can still be used, however, it’s likely that the excessive trimming results in reducing sequencing coverage, and, in turn, making the downstream analysis result in a highly conservative output. Thus, the data isn’t wrong or bad, it is just very limited. There’s a bit of a weird “battle” between Bismark and bowtie2. Bismark uses bowtie2 for generating alignments, but bowtie2’s default cutoff score overrides Bismark’s. So, to adjust the score value, you have to explicitly add the scoring parameters to your Bismark parameters during the alignment step. I did not do this. Again, it’s not wrong, per se, but leads to a significantly limited set of data in the final analysis. The analysis resulted in a total of seven (yes, 7) differentially methylated loci (DML) between the two groups. It was this result that made Steven and me revisit the initial Bismark analysis. He has done this previously (but differently) and gotten significantly greater numbers of DML. Knowing all of this, I will re-trim the data and adjust Bismark alignment score thresholds and then re-analyze with MethylKit.